While Oregon accounting programs are not at the top of the rankings, the Lundquist College of Business currently holds the 96th place in the US News ranking of business schools. The accounting program that you choose can have a tremendous impact on your ability to pass the examination required to become a Certified Public Accountant (CPA) and on your employability after graduation. It is important that you do your research carefully before applying and that you opt for the most rigorous program that can successfully prepare you for future challenges. Before you apply, make sure the program has the right accreditation, either from the AACBS or the state accountancy board. Moreover, if you intend to sit for the CPA exam, you should find out whether the program will allow you to fulfil the exam requirements. It is also helpful to have a look at the school’s most recent CPA exam pass rates. You want to attend a program that will maximize your chances of finding a job after graduation, so take into account extracurricular opportunities available on campus, student organizations and firms that regularly recruit graduates of that particular program. he CPA exam is known for its low pass rates and work as an accountant requires advanced skills; it is best that you invest your time in an academic program that can give you confidence in the face of these challenges. In order to embark on a career in accounting, you will need good financial, business and math skills, as well as a relevant four-year Bachelor’s degree. This should comprise accounting, business and general education courses. If your aim is to become a CPA, you will need to undertake additional study to reach the required 150 semester credits before you can sit for the CPA examination. 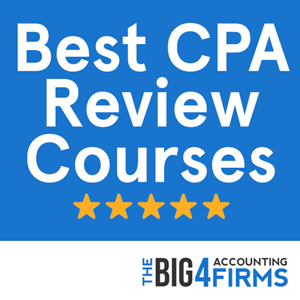 In order to maximize your chances of passing the notoriously difficult CPA exam, it is advisable that you choose a rigorous accounting degree program and that you take the exam as soon as you have fulfilled the requirements, as you will need a good recollection of university course material. After the CPA exam, you will need to complete an ethics course and gain a minimum of 12 months of experience before you can apply for your CPA license. Subsequently you might need to renew your license regularly and to complete a number of continuing professional education courses. You can also choose to join a CPA society in order to keep up to date with different aspects of the profession. Candidates for the CPA exam are required by the Oregon accountancy board to complete 150 semester hours that include a Bachelor’s degree from an accredited college or university. Accounting courses should comprise a minimum of 24 hours, while 24 further credits must be earned in accounting or related courses such as business, finances or communication. If you have 2 years of public accounting experience but do not fulfill the educational requirements for a CPA, you may sit for a Public Accountant examination. In order to apply for a CPA license in Oregon, you need to pass all sections of the CPA exam and fulfill a 12-month experience requirement under the direct supervision of a CPA licensee. You will also need to complete an approved ethics course. Oregon licensed CPAs are required to complete four hours of continuing professional education in ethics and professional conduct every renewal period. Oregon does not stand out as a particularly favorable location for accountants with regards to employment and pay levels, with an average salary in 2013 of about $64,000. This is almost equal to the national average salary; however, the profession offers plenty of opportunity to increase one’s wage with experience. Although the field of accounting is shrinking in Oregon, salaries have been steadily increasing in the past years. The diversity of career paths open to accountants also multiplies the possibilities for success, either within large or small business operations, at different government levels or in the non-profit sector. 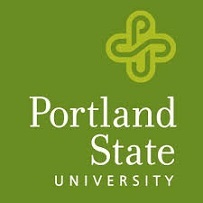 While absent from the national rankings, the accounting program at Portland State University boasts the highest CPA pass rate of any accounting program in Oregon, with scores well above the national average. The university’s School of Business Administration offers an undergraduate degree program in Accounting and a Master of Science in Financial Analysis. Students wishing to sit for the CPA exam may either undertake a fifth study year as undergraduates or attend the one-year Master’s degree program in order to earn the required number of credits. The program offers a rigorous curriculum geared towards practical experience in preparing accounting reports and tax returns, using accounting software and tax research databases, as well as analyzing financial statements and industry risks. Opportunities for career development are provided by means of the Beta Alpha Psi accounting society and through networking with the business community. 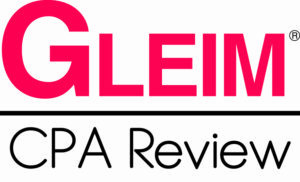 Such a blend of real-world accounting experience and theoretical knowledge necessary to pass the CPA exam is the hallmark of a good accounting program, and proof that rankings are not the only measure of academic success. The University of Oregon offers the most highly rated undergraduate and graduate accounting programs in Oregon. Offered by the US News Top 100 Lundquist College of Business, the undergraduate accounting program leads to a B.S. or B.A. in accounting and provides students with knowledge of general accounting, auditing, financial and cost accounting and taxation. However, students who wish to sit for the CPA exam are required to complete additional coursework provided through a one year Master’s program. The Lundquist College of Business supports students in starting their career by connecting them with suitable companies. The wide range of student clubs on campus also offers plenty of opportunity for hands-on experience. With a higher than average pass rate on the CPA exam and benefiting from AACBS accreditation, the University of Oregon offers a well-rounded program for motivated students who wish to prepare for a successful career in accounting.